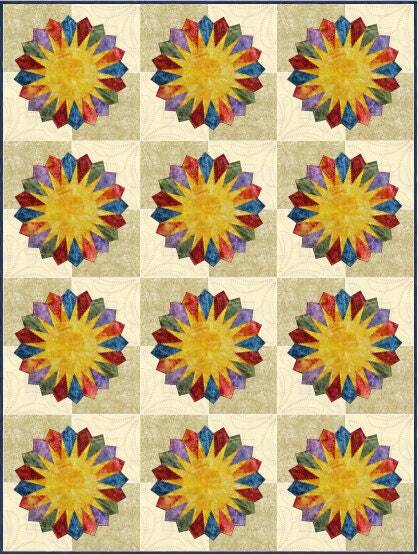 Classic Dresden made from bold batiks with in-between extra petals. 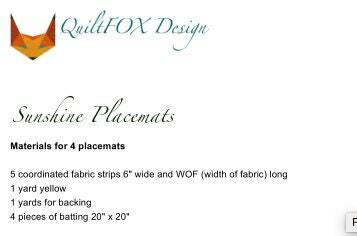 The pattern gives the material requirements and cutting, piecing and quilting instructions for finished placemats and assembled quilt. All steps are demonstrated with color images and easy too follow. 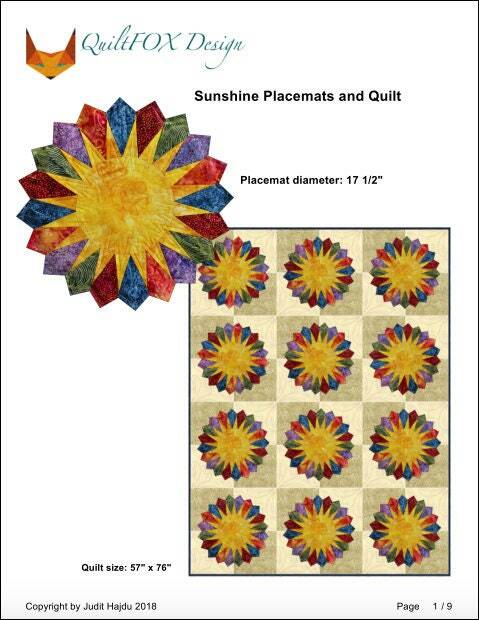 Beginner friendly and can be completed with prior quilting experience. It requires sewing experience. 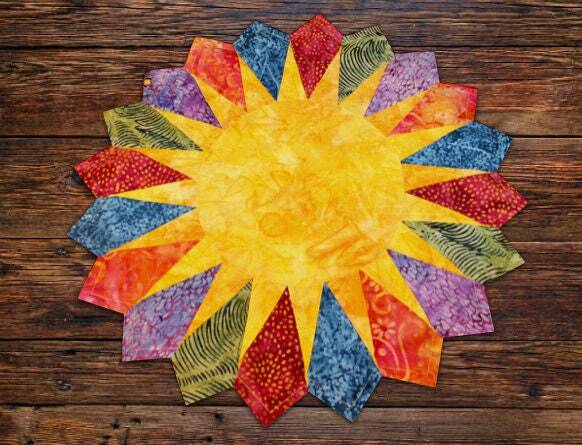 All templates included so you do NOT need to have Dresden ruler or any other special tool. 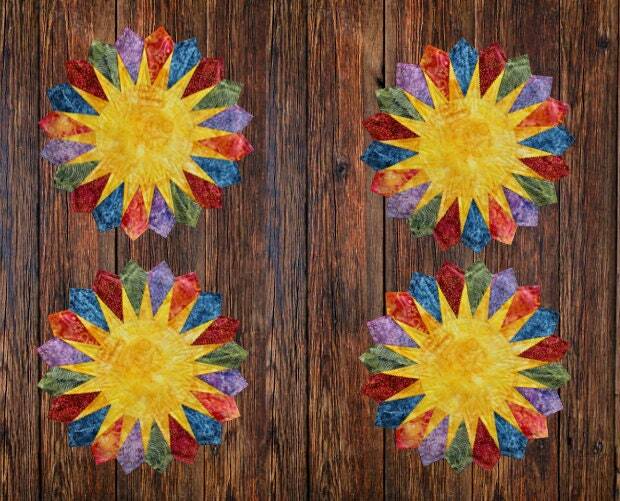 Make it in your favorite color combination to decorate your every day or holiday home.